Chelsea target Roberto Pereyra from Watford to boost their attacking options. According to the football transfer rumours in British media, Chelsea are linked with surprise move for Watford forward Roberto Pereyra. The 27-year-old has been subject to interest from various European clubs. The Argentina international joined Watford from Juventus for a fee in the region of 13 million euros in August 2016. His contract expires in the summer of 2021. Pereyra has played 58 times for Watford since signing from Juventus, scoring 12 goals and creating 6 assists. The 27-year-old is considered to be one of the best forwards in Argentina. As a member of Argentina national football team, Pereyra won 12 caps and he scored one goal. His performances have seen him become the target of many European clubs including Chelsea. 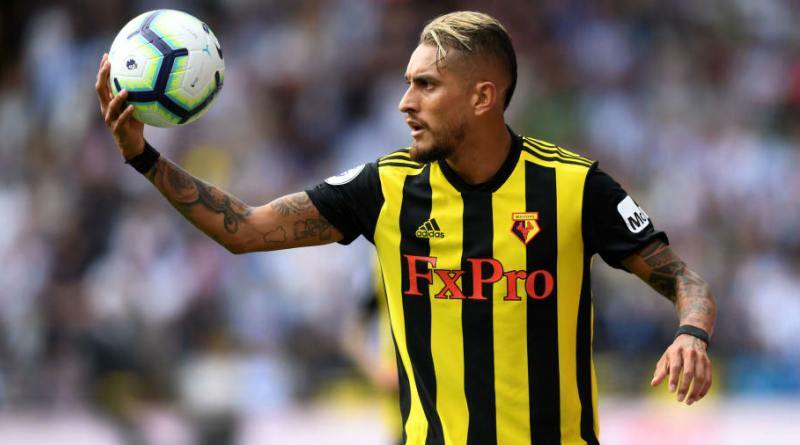 Maurizio Sarri wants to sign a new forward and Pereyra is one of the names at the top of his wishlist. The Chelsea manager has been impressed by his performances this season and could make a move this winter. Watford are reluctant to let Pereyra go, but a big enough bid could persuade them to sell. Signing the 27-year-old in the winter transfer window would be a masterstroke from Maurizio Sarri. Stylistically, he would be a great fit in Chelsea. Will Roberto Pereyra be a Chelsea player soon? Only time will tell.